Customized sunglasses classic – red is a great way to build relationships during summers. This red sunglass seeks attention due to its impressive color profile and people are bound to notice it from all crammed spaces, too. Marketers can always choose to hand them over during joyous promotional events such as tradeshows, business conferences, trade conferences, etc. It makes a great giveaway during summer camps, summer events and beach festivals, etc. 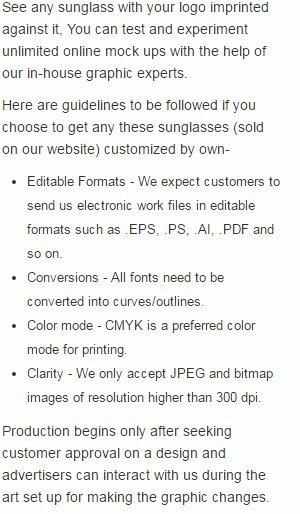 We process huge orders of this classic sunglass for marketers in different niches because they all find them impressive and highly efficient, too. Request for a quote to know more bulk order savings that you can avail by ordering this customized sunglass classic –red.